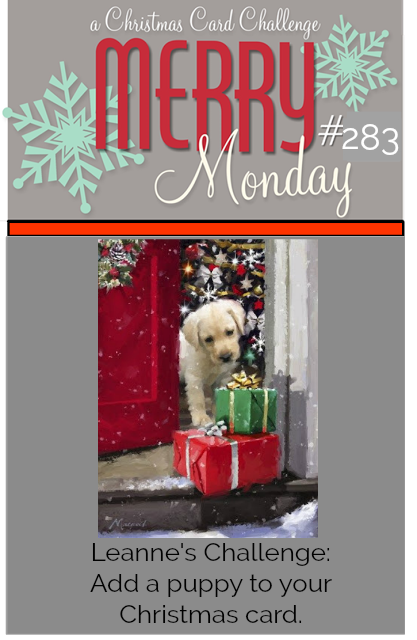 We have a new Merry Monday Christmas card challenge, Leanne is our hostess and her challenge is to Add a puppy to your Christmas card. I used a scrap of DP for the plaid layer, I used a panel of embossed cardstock for the paw impressions and then added layers to both the sentiment and the pop before popping them up with foam tape. I added some highlight to the pup with watercolours. Supplies: Cream and brown cardstock, Designer paper-Carta Bella, Magenta - Dogs, Verve Merry & Bright, misc embossing folder. Cute image surrounded with all the fun patterned paper and the embossed paws is a great addition. Nina, have a great week. Just love that sweet dog along with the paw embossed paper, Nina! Perfect with the plaid behind!! Cute puppy. 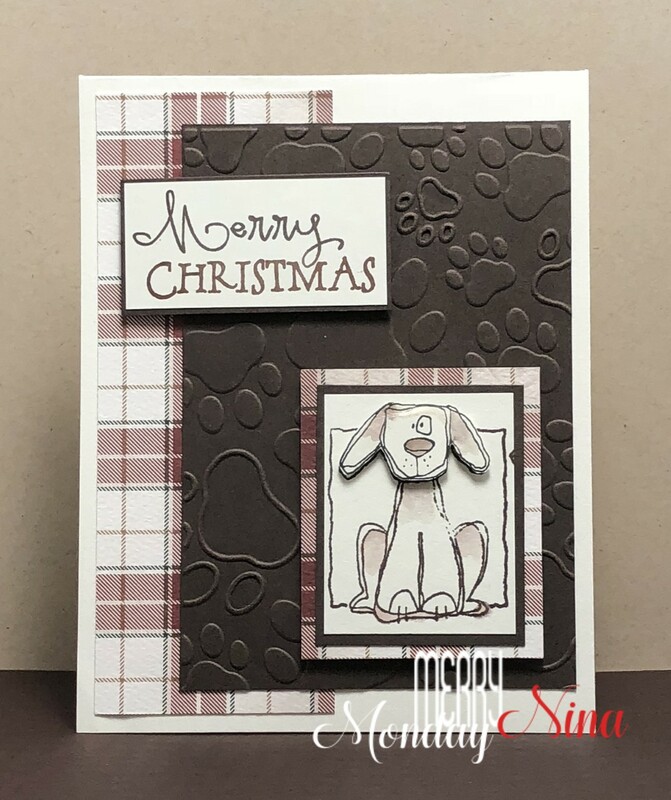 Love the embossed paw prints and the design of your card Nina. Nina, Adorable and love the non traditional Christmas colors. Have a great week. I'd not have thought to put a dog on a Christmas card like that - but it totally is a sweet idea! The embossed backdrop is wonderful.